The EU Parliament is debating a resolution that aims to establish measures “to tackle Russian and ISIS propaganda.” In the latest wake of anti-Russia sentiment, the British parliament will also hear a report denouncing public figures with alleged Russia links. READ MORE: Why has NATO chosen Russia as its enemy instead of ISIS? 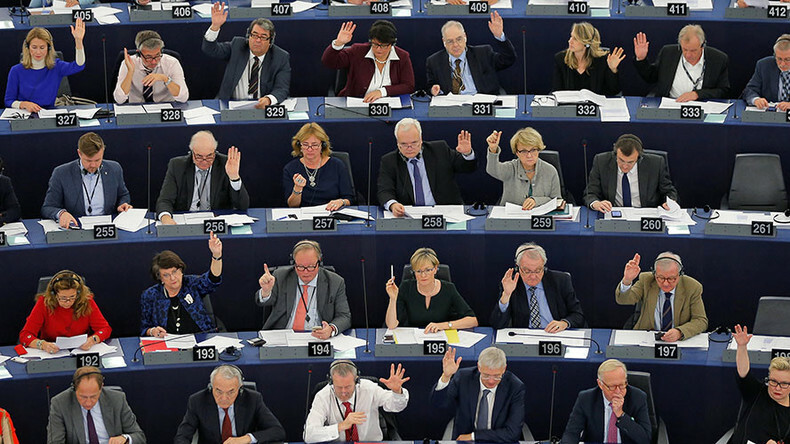 Ahead of the vote, the issue was debated at a plenary sitting, with a report "calling for stronger counter measures" having been presented the lawmakers, according to the European Parliament. The report, written by a Polish member of the European Conservatives and Reformists (ECR) group, Anna Fotyga, said that Russia aims to "incite fear and divide Europe" along with terrorist organizations, such as Islamic State (IS, formerly ISIS/ISIL). "The EU is under growing pressure from disinformation by countries, such as Russia, and non-state actors, like ISIS/Daesh, Al-Qaeda and other violent jihadi terrorist groups which promote violence and use pseudo-news agencies and internet trolls to challenge democratic values and divide Europe,” the newsletter said. “It comes to being ridiculous when the same report includes a threat coming from ISIL and from Russia, it demonstrates that people have lost their mind and sense of reality,” French MEP Jean-Luc Schaffhaueser told RT, adding that the situation is now at a point where he doesn't know "whether to cry or to laugh". The EU "desperately needs an enemy, be it Russia or any other," that it can blame for any of its own failures, the MEP said. "No one [in the parliament] wants to admit that EU ideology has led to the current situation, the bloc's economic, social and political fiasco," Schaffhaueser added. “We are lucky that there is Russian media and other media that stand against [the EU's] official propaganda. In Europe, its institutions and parliament, they refuse to see the obvious, to see the truth. And I am saying that we are lucky because it's European democracy that is at stake," he said. Meanwhile, as MEPs debated how to counter the alleged Russian threat and deal with the "impact of this disinformation," their British colleagues will be presented with another report involving Russia. 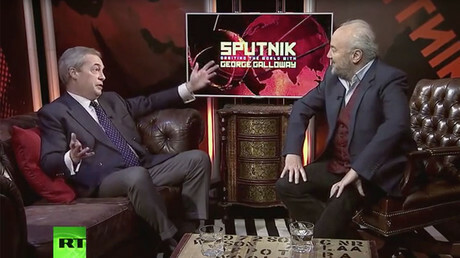 Called 'Putin’s Useful Idiots,' the document was written by Andrew Foxall, the Director of the Russia Studies Centre at the conservative think tank, the Henry Jackson Society. "Challenging [the] credibility" of politicians and other prominent figures who are sympathetic to Russia, it proposes a radical clampdown on such people, suggesting they have been paid by the Kremlin. 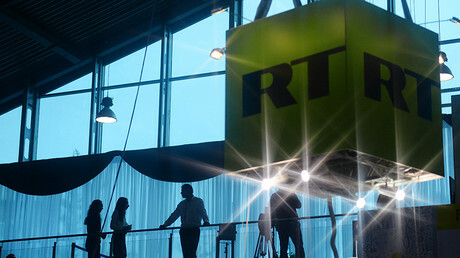 The report mentions a number of people who have shared their opinions on a range of international issues with RT viewers over the years, including UKIP leader Nigel Farage. "Many of those... have appeared on RT. If they received appearance fees, then they have also taken money from the Kremlin, thereby establishing financial links between themselves, their organizations and Moscow,” Foxall stated, adding that with the Kremlin's "heavy investment" the Russian media aims to influence European public opinion.